Magicard Pronto Driver Download. 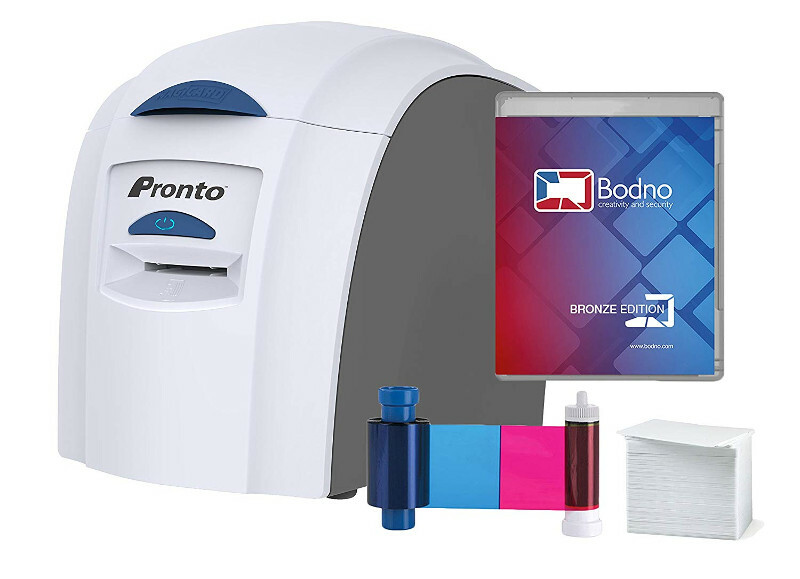 The Magicard Pronto is a one-sided card printer for printing on plastic cards in sublimation printing, thermal transfer printing or for rewritable plastic cards. When using rewritable plastic cards or TRW cards, for example as visitor badges, they can usually be written, deleted and rewritten up to 300 times. The version of the Magicard Pronto card printer offers a single card feeder which allows direct printing of a personalized plastic card. It's a very reliable and compact card printer, so the Magicard Pronto is easy to carry and can be used in places where space is limited. The Magicard Pronto offers high performance for a small price. Means: The card printer allows a high-quality, nearly borderless printing in excellent image quality of 300 dpi and is still quite cheap. An additional feature of the Magicard Pronto is the tamper-proof HoloKote security watermark. You can choose between four different standard watermarks. In addition, the security of cards with magnetic stripes or smart card encoding functions can be further improved. The writing and erasure of rewritable plastic cards is possible with the Magicard Pronto at no extra cost. This means that with the Magicard Pronto you can easily print one and the same card in monochrome black or blue. This feature of the Magicard Pronto is very handy for creating various temporary ID cards. In addition to the rewriting print, the Magicard Pronto can also be used for full-color printing after a corresponding ribbon has been inserted. This is the latest unified driver for Magicard Pronto printers V2.0.36 on Microsoft Windows operating systems. Compatible with: Windows XP / VISTA / Windows 7 / Windows 8.1 / Windows 10 / Windows server 2012 to 2016 – 32 bit and 64 bit Windows OS.